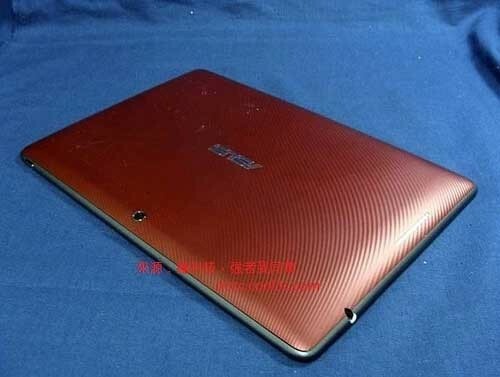 New ASUS Tablet Spotted Overseas, Could It Be Next In The Transformer Lineup? 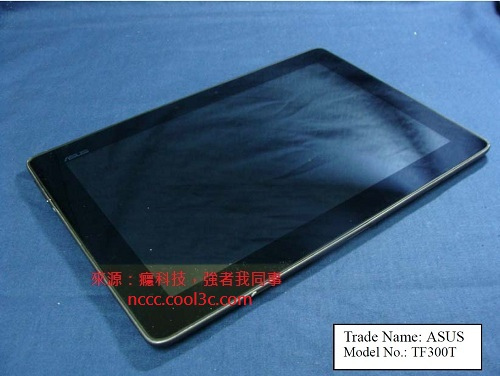 Above is a snapshot taken of what appears to possibly be the next rendition of the Asus Transformer tablet. According to documents alongside the unknown tablet, it is said to be model TF300T, which is a higher model number than its descendants. The Transformer Prime is model TF201, while the OG Eee Pad Transformer is model TF101. Besides its obvious brick red backing, there is not much to actually separate this mystery device from the others in the lineup. One thing that is noticeable is the absence of an LED flash for the camera. Could this be just a red OG Transformer? We can hope that more leaked info (crosses fingers for specs) eventually makes its way to the Interwebz so we can go back to “hypebeastin’ devices.” One more leaked shot after the break.